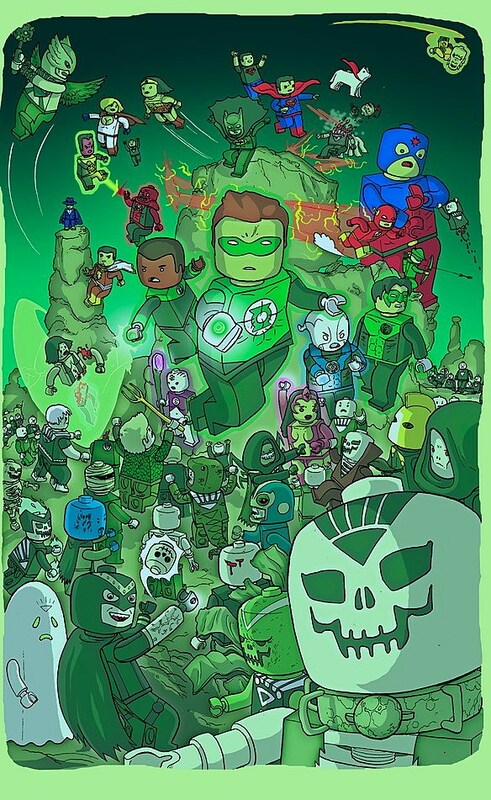 Ulises Farinas, creator of the webcomic MOTRO for the ACT-I-VATE collective, had a series of prints available at the Museum of Comic and Cartoon Art Festival in New York that ventured into familiar fictional universes by way of Lego mini-figures. Farinas' three Lego prints show vast, sweeping battle scenes set in the Marvel, DC and Star Trek universes. The Marvel print, above, shows the Marvel Universe' heroes, and a few villains, joining together to fight off an enormous Lego Galactus. Personal highlights for me include old-fashioned Lego Power-Man and little details like the fact that because Lego Thor's wearing a helmet, he gets no hair.The DC print pictures scene from "Blackest Night," where Farinas manages to include representatives from all seven lantern corps as well as many of the event's major players like Nekron, Black Hand and even Dead Man. For me, though, there's no greater joy than seeing an old-fashioned Lego ghost with a Black Lantern symbol on it. 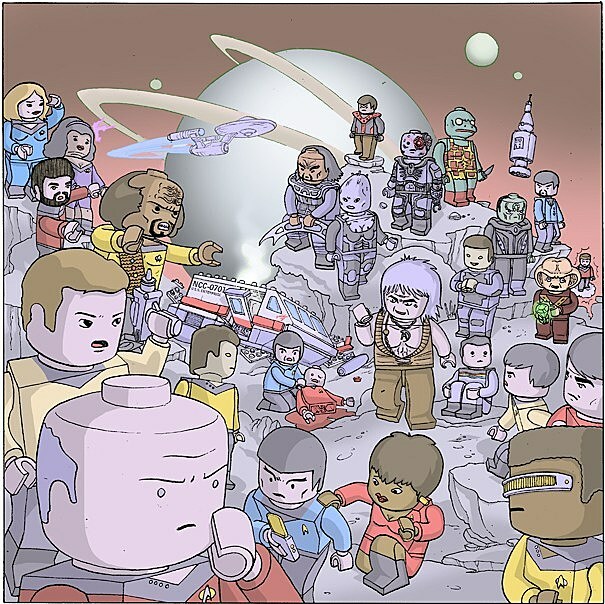 Finally, Farinas' Star Trek print features the heroes and recurring villains from the original series and the Next Generation, as well as an unfortunate red-shirt who didn't fare so well in the shuttle crash the group is surrounding. And while the worried-looking Wesley crouched in a fetal position between Khan and Lore gave me a chuckle, my favorite part of this one is how bald Lego Picard is depicted complete with a Lego peg atop his head. 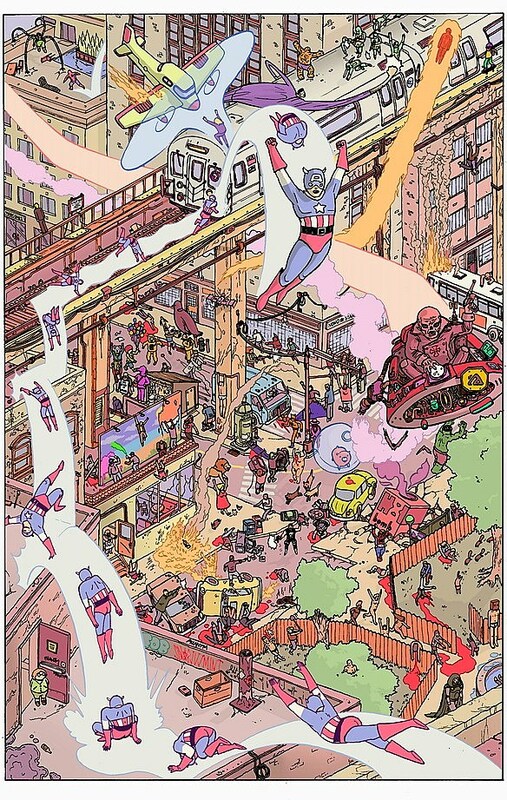 These prints are all available for order at Farinas' website at $25 each, along with another, Lego-free panorama of an average New York day in the Marvel Universe.